It has a farm of 26,000 square meters, covering the complex half of that area. 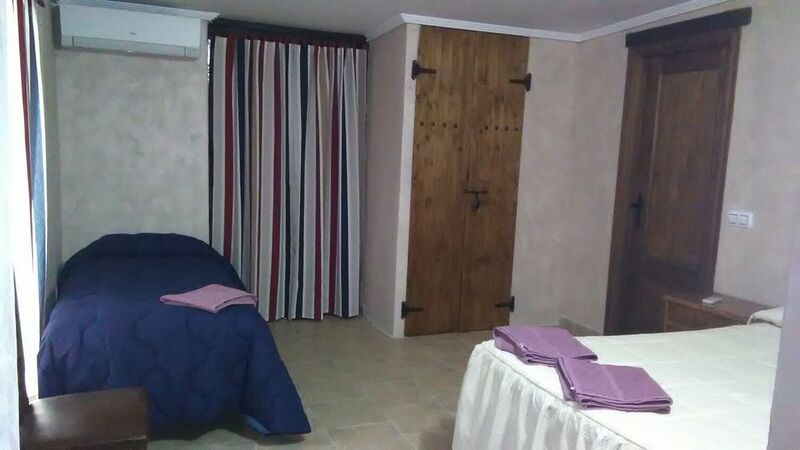 Located on the periphery of the town, but close to it, we can enjoy the tranquility and exclusivity of not being surrounded by population, but with the services that it offers a few minutes. The farm has a rural house with 2 rooms, with a capacity for 6 people in total. It also has 2 bathrooms, dining room, living room with fireplace and kitchen with all the equipment. For higher occupations, ask us for the possibility of having tents for groups to locate in our camping area. In addition, it has several outdoor areas such as swimming pool, porch, barbecue, giant sandpit, 3x3 football pitch, American track, private parking, event area, orchard and greenhouse.